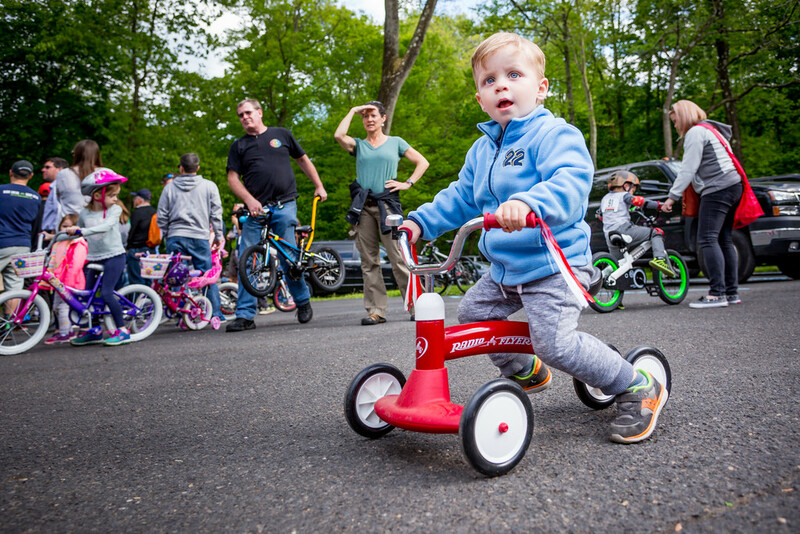 The first kids started arriving in the parking lot of Doylestown’s Chapman Park a few minutes before 5pm. 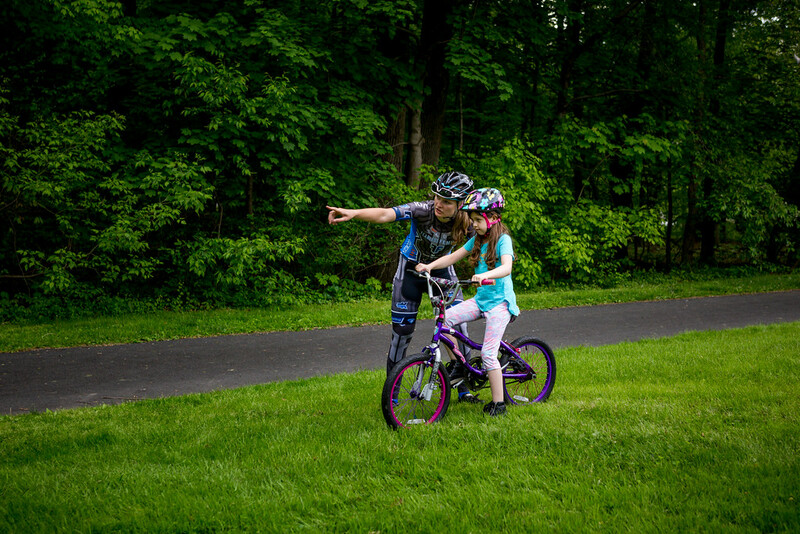 Parents unloaded bikes from the backs of cars and you could feel a slight nervous energy radiating from both ends of the age bracket as four dozen children got ready to shed their training wheels and experience the joy and freedom of riding a two-wheeler for the first time. Twenty some volunteers from the local cycling community -- joined by world champion Rebecca Wiasak, local pro phenom Paige Shumskas, and John Eustice, race director for the Thompson Bucks County Classic and one of the first American cyclists to break into the world of European pro cycling -- met the kids’ (and their parents’) nervous energy with an equal amount of commitment to make the learning experience enjoyable and successful. 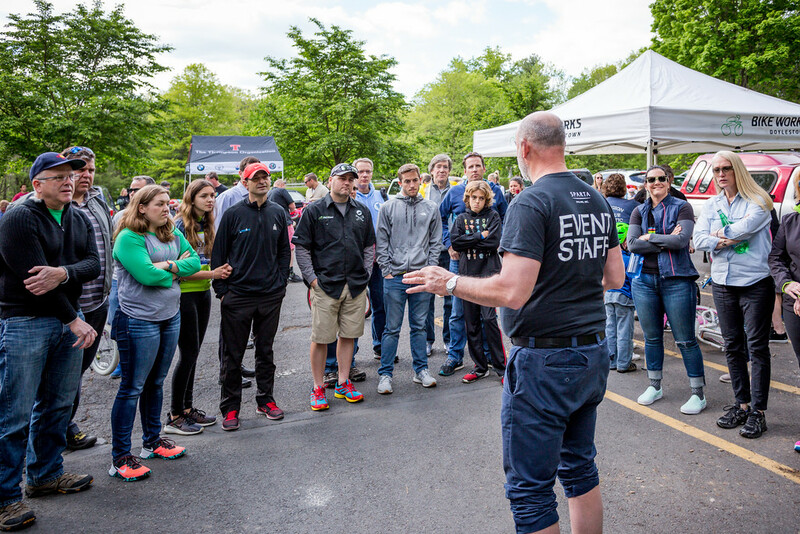 This was the kickoff to what has become an annual series of Learn to Ride events sponsored by the Thompson Bucks County Classic, Doylestown Bike Works, Women Bike Dtown and the Borough of Doylestown. 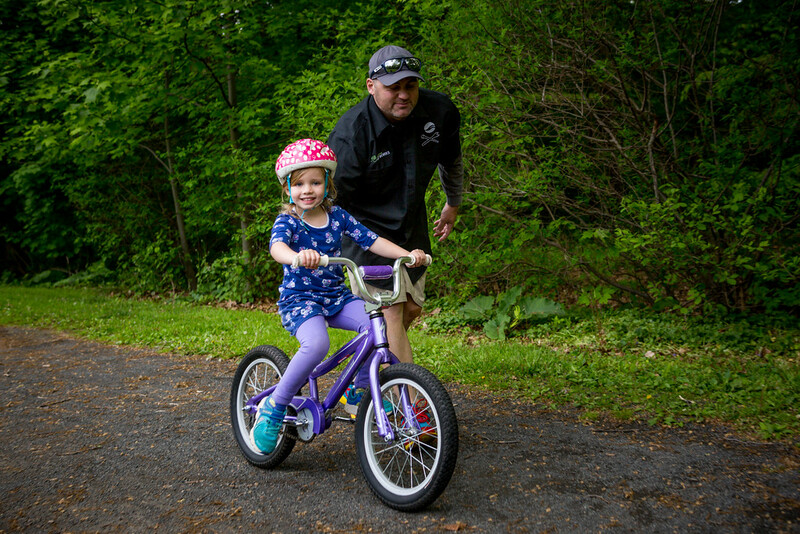 The program has helped hundreds of kids gain the confidence for a lifelong love of riding a bike. 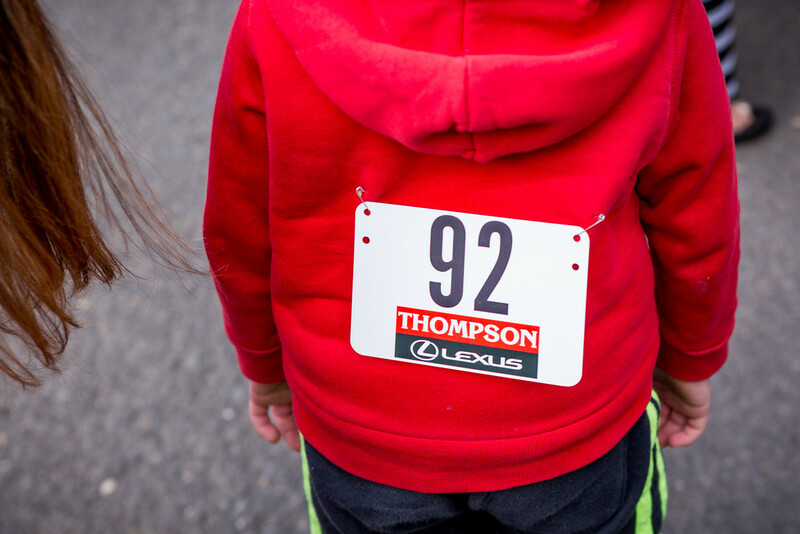 Many have gone on to compete in the children’s races that precede the pro races every September. Below are highlights from last night’s session. You can see more photos here. 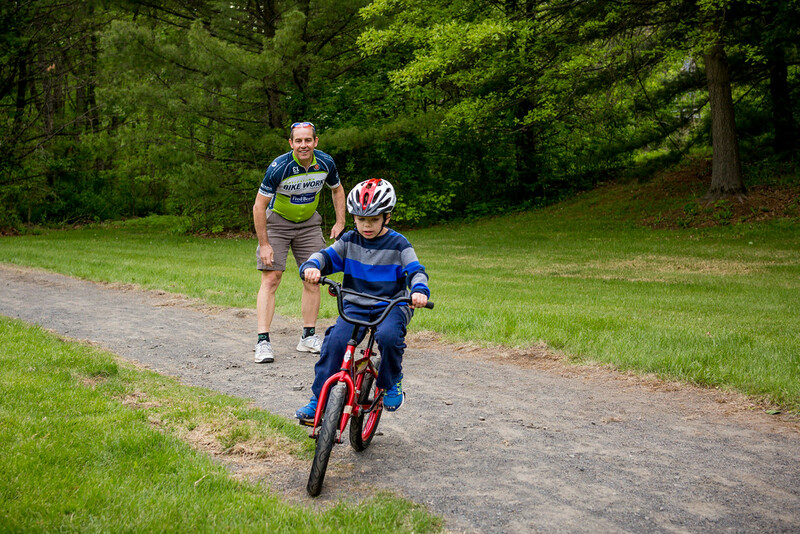 If you’re a parent, feel free to download and share any of the photos of your child and tag us on Facebook (buckscountyclassic), Instagram (@buckscoclassic, #buckscoclassic) and Twitter (@buckscoclassic).